Llanelli AM Keith Davies has been censured by the Welsh assembly and reprimanded by the Labour Party for his drunken behaviour in a hotel. AMs unanimously endorsed a report by the cross-party standards committee which said Mr Davies had brought the assembly into disrepute. He apologised for his behaviour in a statement to the Senedd on Wednesday. Labour said its official reprimand was one of the most serious sanctions available. Staff at the five-star St David's Hotel in Cardiff were abused after he returned in the early hours with a female guest after a night out last month. Mr Davies and the mystery woman got back to the five-star hotel at 4:45 BST on 24 April after he had been celebrating the birthday of a political lobbyist. In the Senedd chamber, Mr Davies, 71, said he accepted the standards committee report in its entirety. The married father-of-two apologised to fellow AMs, assembly staff, staff at the hotel, his constituents "and in particular my family for the public shame that has followed nationally and locally". In a statement, Labour said chief whip Janice Gregory had officially reprimanded Mr Davies for his "wholly unacceptable behaviour". We have sought and received assurances that Mr Davies takes full responsibility for this incident and have been assured that this sort of behaviour will not happen again. "This follows careful consideration of all issues surrounding this incident and takes full account of the comprehensive report undertaken by the assembly standards of conduct committee and the decision taken by assembly members today," it said. "An official reprimand from the Labour group is one of the most serious sanctions open to the chief whip. "We have sought and received assurances that Mr Davies takes full responsibility for this incident and have been assured that this sort of behaviour will not happen again." Assembly rules mean AMs can be suspended for breaching standards of conduct only in relation to financial or other interests. Mr Davies' breach was "in relation to personal conduct". The standards committee is separately considering the sanctions available as part of a review. Plaid Cymru AM Simon Thomas thanked Mr Davies for his oral statement. "The constituents of Llanelli who contacted me over the last few days have been bemused that we limit the sanctions depending on the transgression," he said. "They are very much of the view that if conduct like this happens in a workplace it can lead to the docking of pay or suspension from a place of work." Committee chairman Mick Antoniw said the recommendation to censure Mr Davies came after "careful consideration". 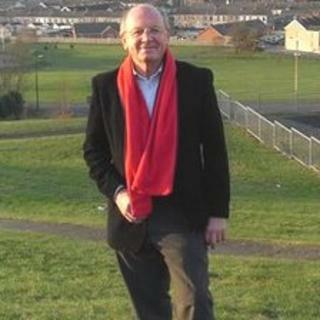 Mr Davies was first elected to the assembly last May taking back Llanelli for the Labour Party from Plaid Cymru by 80 votes. He has faced strong criticism for his conduct in the pages of his local paper The Llanelli Star. Presiding Officer Rosemary Butler has denied there is a drinking culture among AMs. In a letter to the standards committee Mr Davies admitted he was "adversely affected by alcohol" and that his behaviour fell short of the conduct expected from an AM. He was entitled to stay at the hotel at taxpayers' expense, but has since settled the bill himself and written to the hotel to apologise. Mr Davies qualified as a teacher before becoming a school inspector and subsequently became director of education for the former county of Mid Glamorgan, and Carmarthenshire. He is a governor of two schools.